Rosanna Wilson Stephens and Rita Jones opened their gallery of fine and decorative art, Wilson Stephens and Jones in 2012, at 71 Westbourne Park Road, West London. For 27 years the legendary Celia Birtwell (of David Hockney fame) sold her textile designs here at 71 Westbourne Park Road. Wilson Stephens and Jones will continue the artistic theme with their specially renovated gallery. With many years of experience in the art world between them, Rosanna and Rita have built up a stable of artists and show their contemporary works alongside work from the twentieth century and earlier. The gallery holds one-person and themed exhibitions from time to time but mostly the visitor will find a mouth-watering across the board collection providing the ideal hunting ground for both decorators and private clients. They often have framed pages of French nineteenth-century textile books and swatch boards and we specialize in collections of pictures to be hung together for maximum impact. 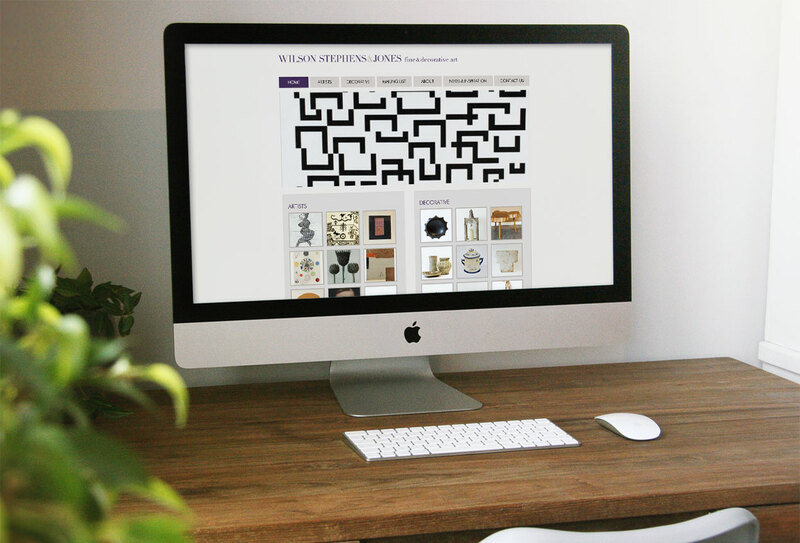 Wilson Stephens and Jones looks forward to welcoming clients old and new to visit our treasure trove of pictures, sculpture, ceramics, glass and textiles. The gallery handles the work of much collected artists Hugo Guinness and Ben McLaughlin.